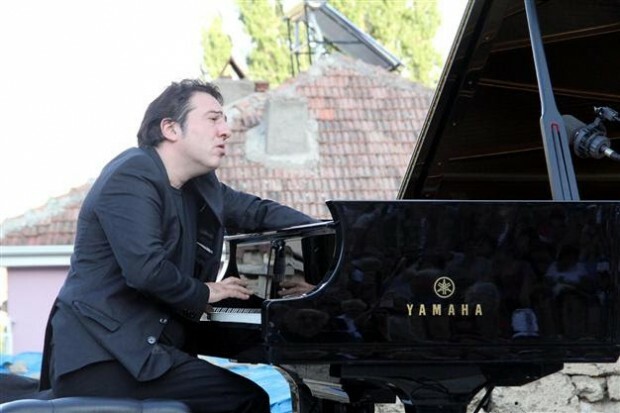 Turkey’s world renowned pianist and composer Fazıl Say has claimed that his pieces have been removed from the program of the Culture and Tourism Ministry’s Presidential Symphony Orchestra (CSO). “What is the reason? The ministry should reply,” Say asked on his social media account. Say’s works were set to be performed in two concerts by the orchestra in its new season. Meanwhile, main opposition Republican People’s Party (CHP) Vice President Sezgin Tanrıkulu presented a parliamentary question concerning the issue, asking if the claims were true or not and if true, the reason for the removal. He also questioned if this move was revenge on Turkey’s world renowned composer. Speaking to Cem Erciyes from daily Radikal, Say, who is on a tour in Japan, said he was very concerned about the developments. According to the NY Times, on Monday, April 15, 2013 a court in Istanbul handed down a suspended 10-month jail term for Fazıl Say, convicted of insulting Islam and offending Muslims in postings on Twitter. Mr. Say, 42, who has performed with major orchestras around the world in places including New York, Berlin and Tokyo, said during earlier hearings that the accusations against him went “against universal human rights and laws.” The sentence was suspended for five years, meaning that the pianist will not be sent to prison unless he is convicted of re-offending within that period. In recent years, many intellectuals, writers and artists have been prosecuted for statements about Islam and Turkish identity, both of which the pro-Islamic government seeks to shield from criticism. Social media outlets like Facebook and Twitter, however, have rarely figured in previous trials, although Turks are active users of the sites. Will the leftist arts community in the West concern themselves with this? It seems unlikely. Check the RISE UP agenda. See any concern for victims of Islam there? Zip. None. Nada.